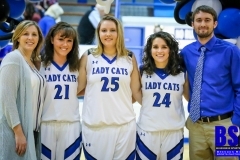 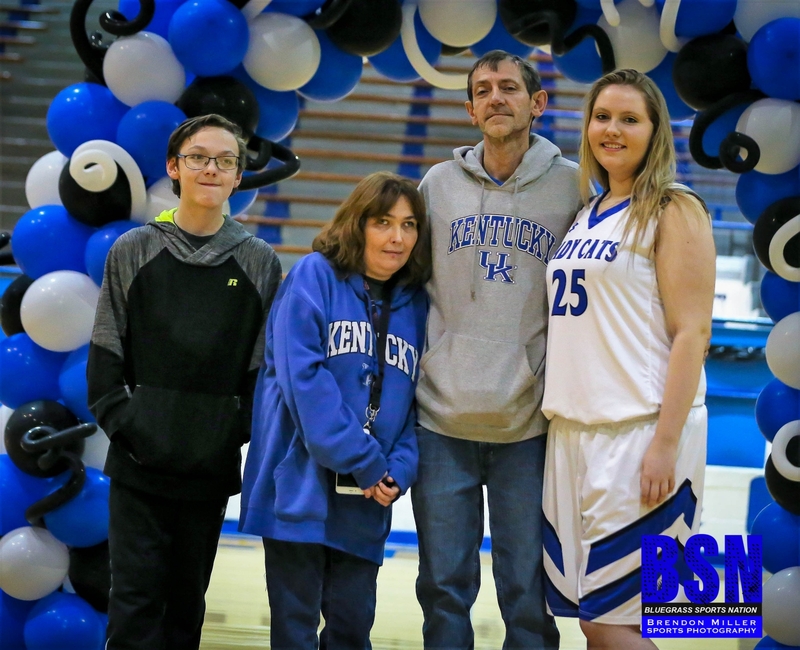 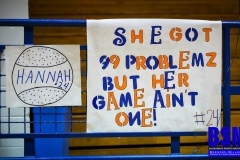 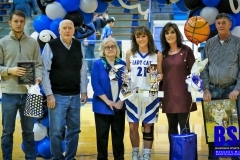 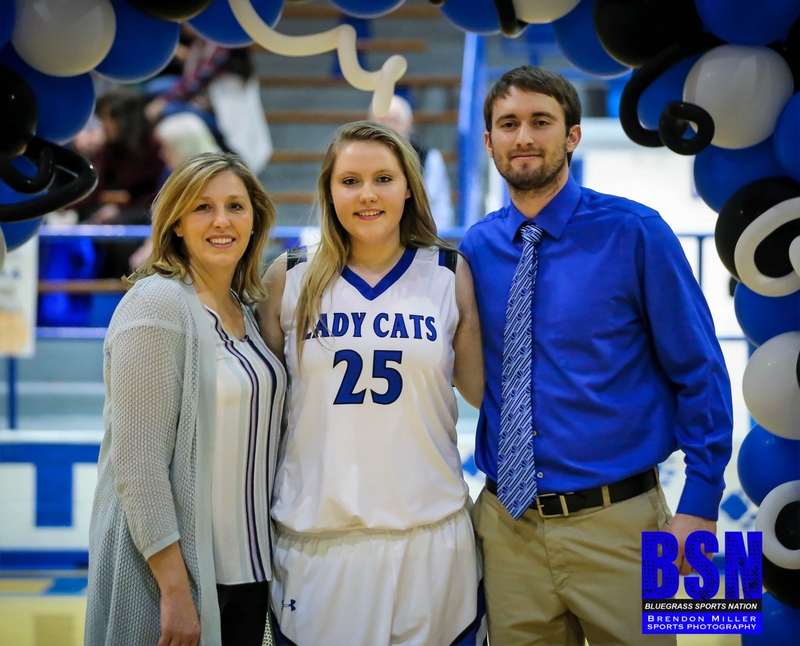 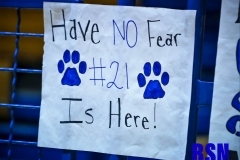 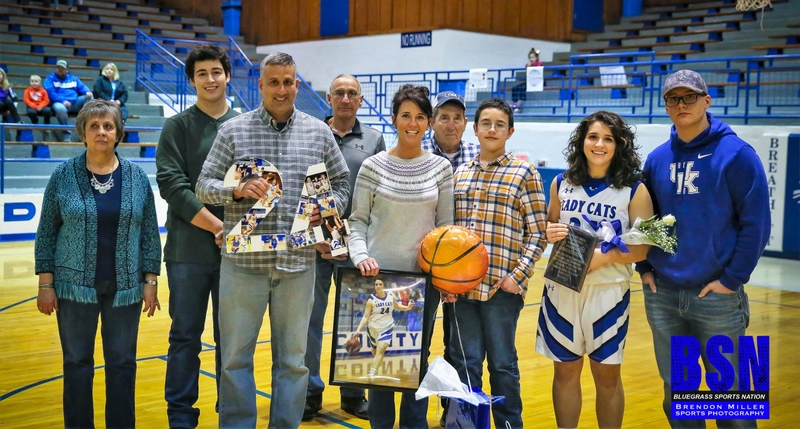 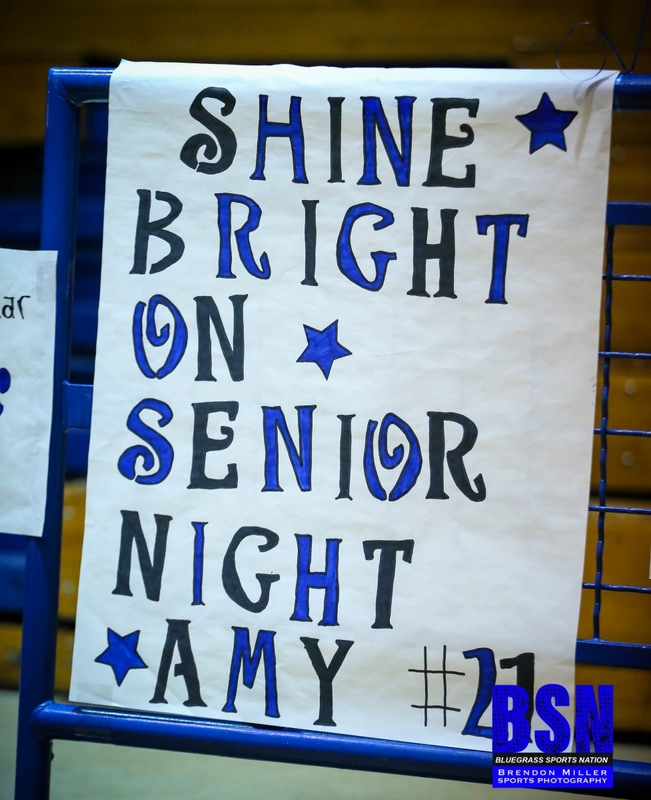 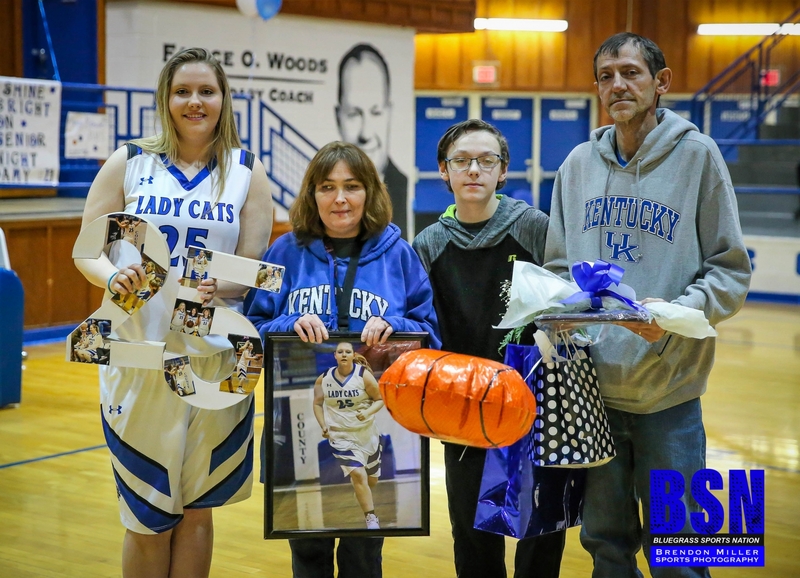 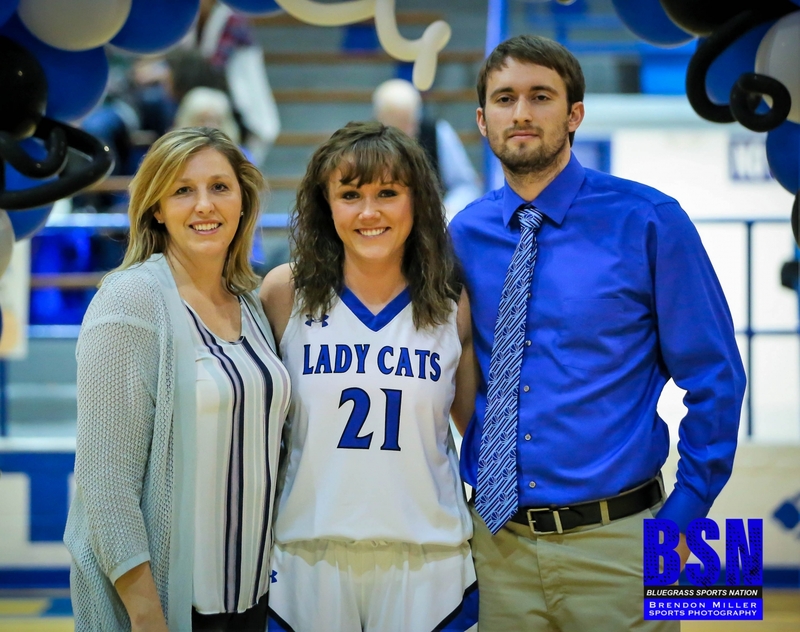 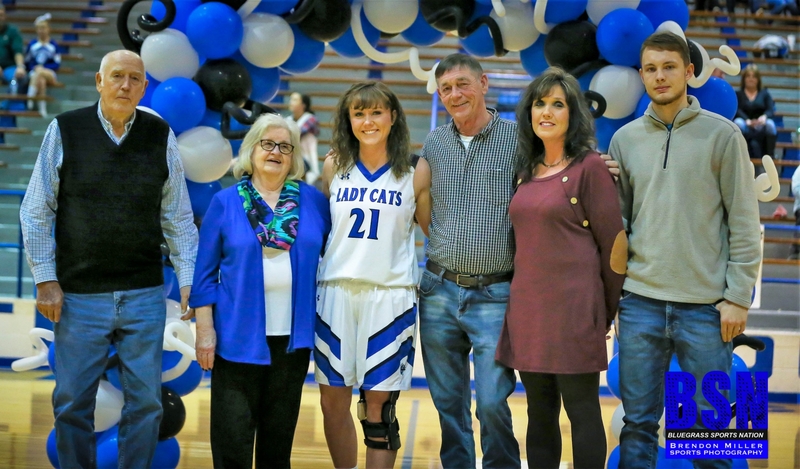 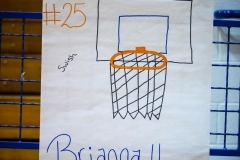 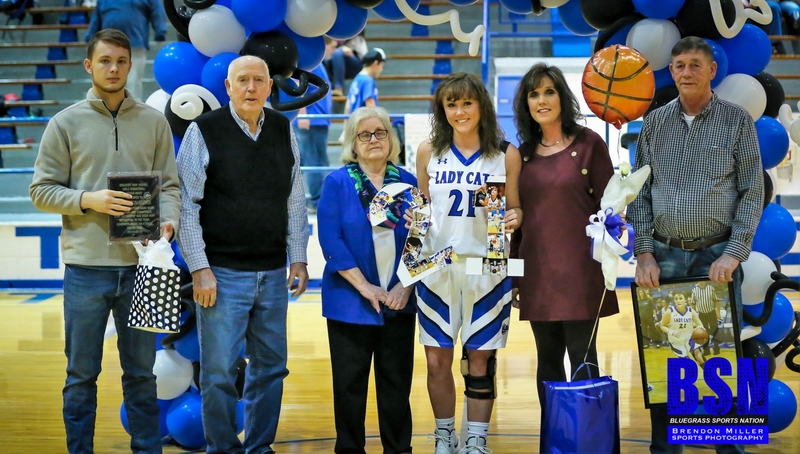 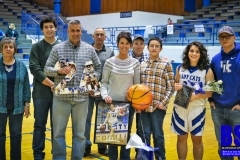 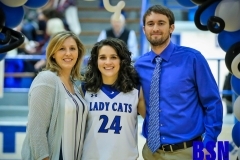 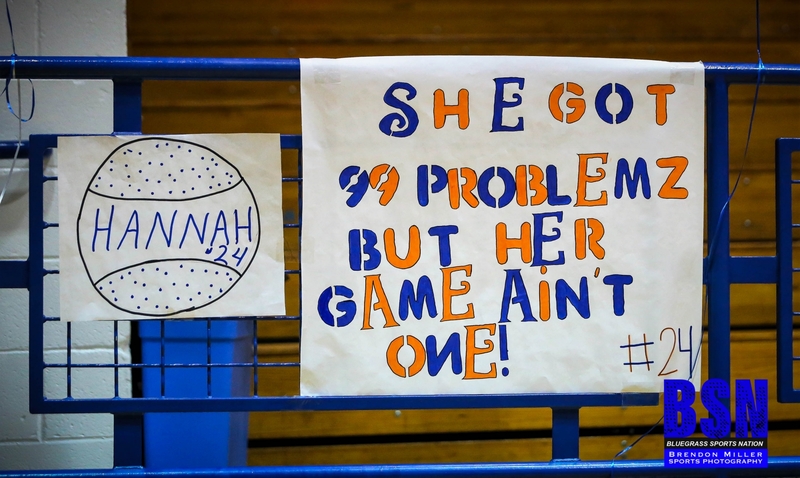 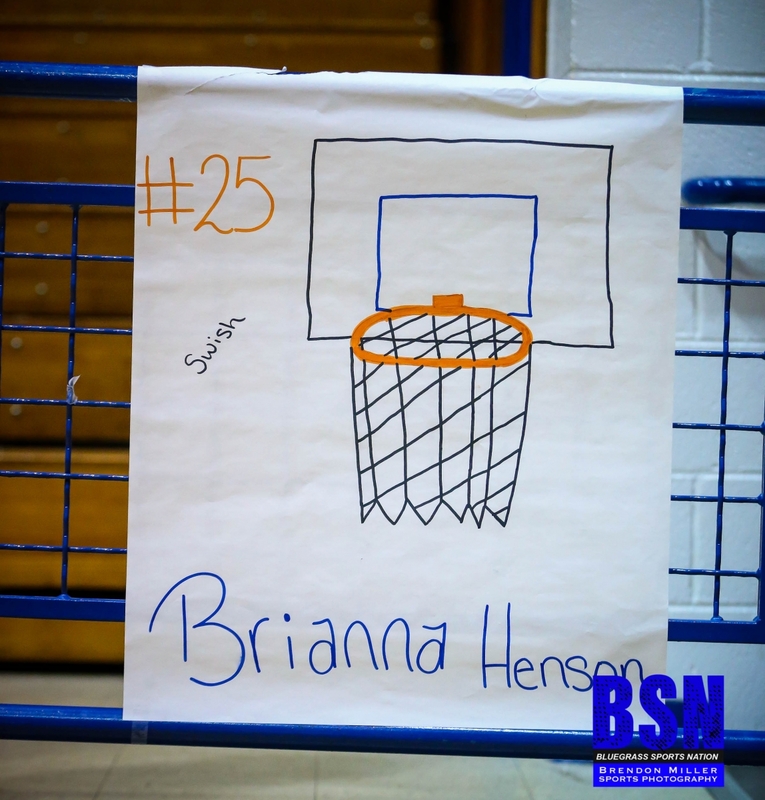 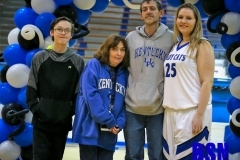 The Breathitt LadyCats sent their three Senior out in style tonight with a convincing 70-22 win over Oneida Baptist. 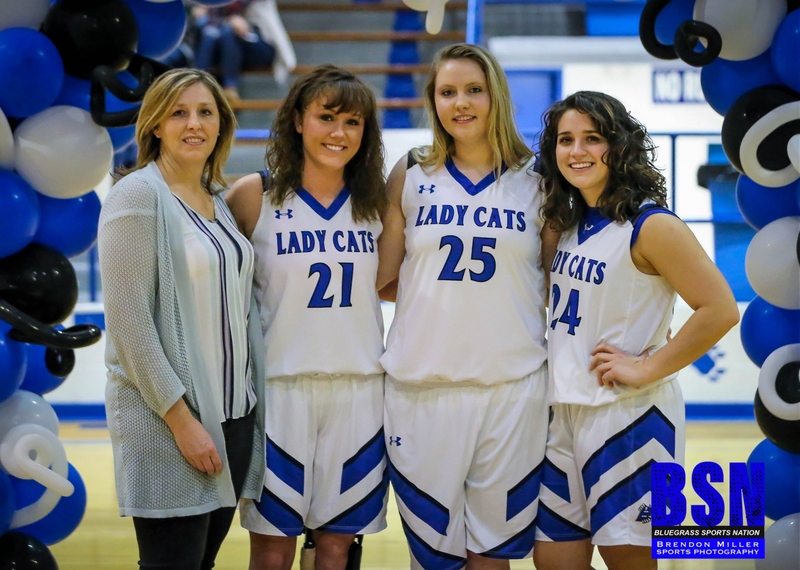 Seniors Amy Brewer, Hannah Griffith, and Brianna Henson closed out their careers at the Fairce O. 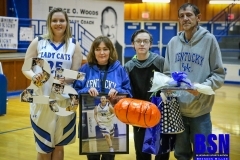 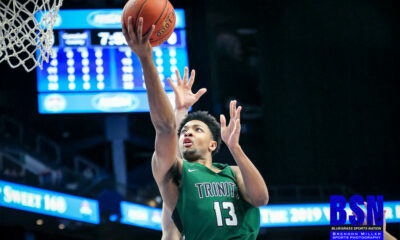 Woods Coliseum, with an emotional pregame ceremony and then each scored to secure the home win. 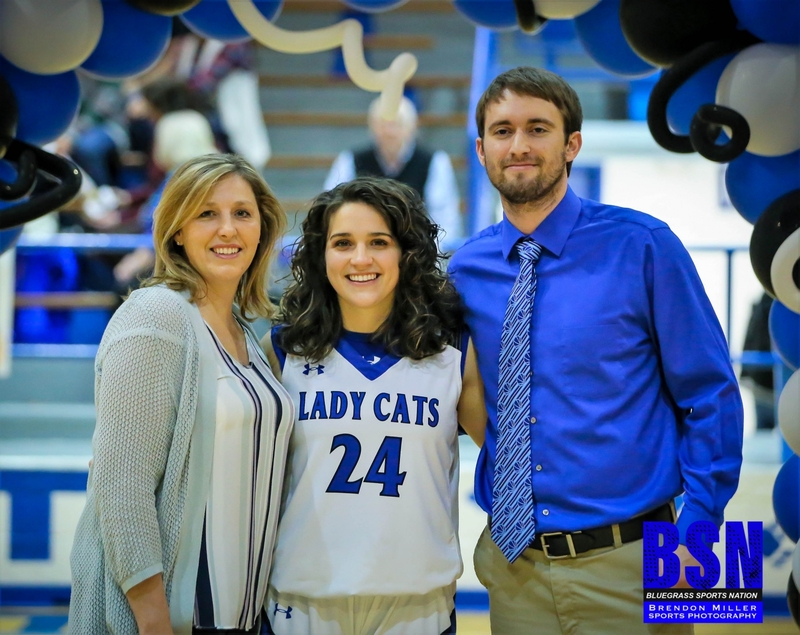 The 1st Quarter was decisive as Coach Misty McAlarnis used full court pressure to force multiple turnovers and several easy baskets. 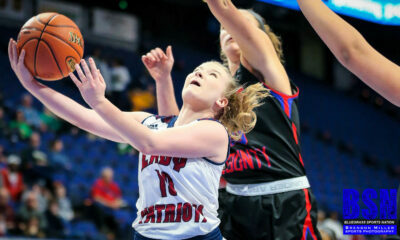 Griffith had eight of her 13 for the game in the early going as she and Brewer (who had seven in the Quarter) led the way. 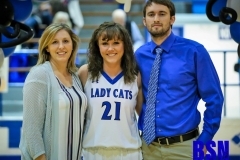 At the end of the 1st, Breathitt led 31-11. 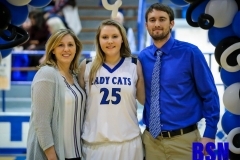 Breathitt basically finished the game off in the 2nd Quarter outscoring OBI 17-2, with Brewer adding nine of her game-high 25. 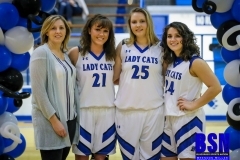 Breathitt led 48-13 at the half. 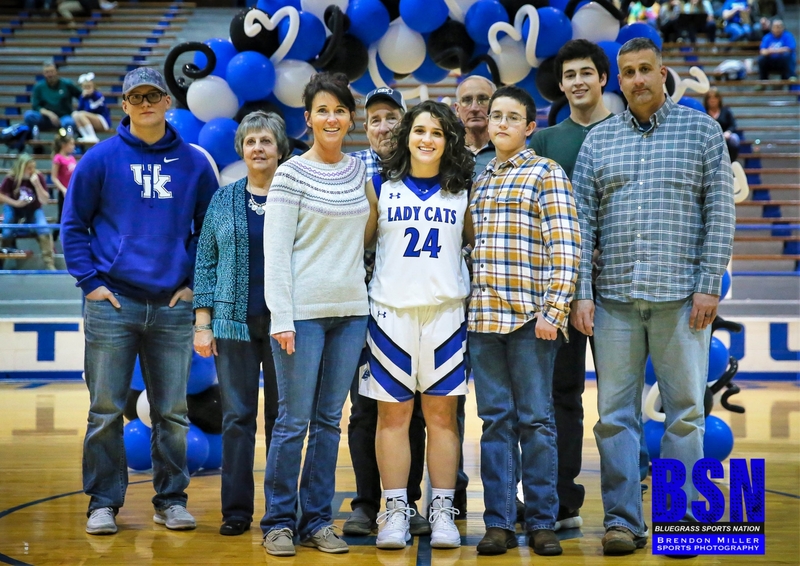 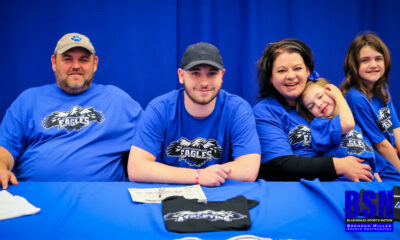 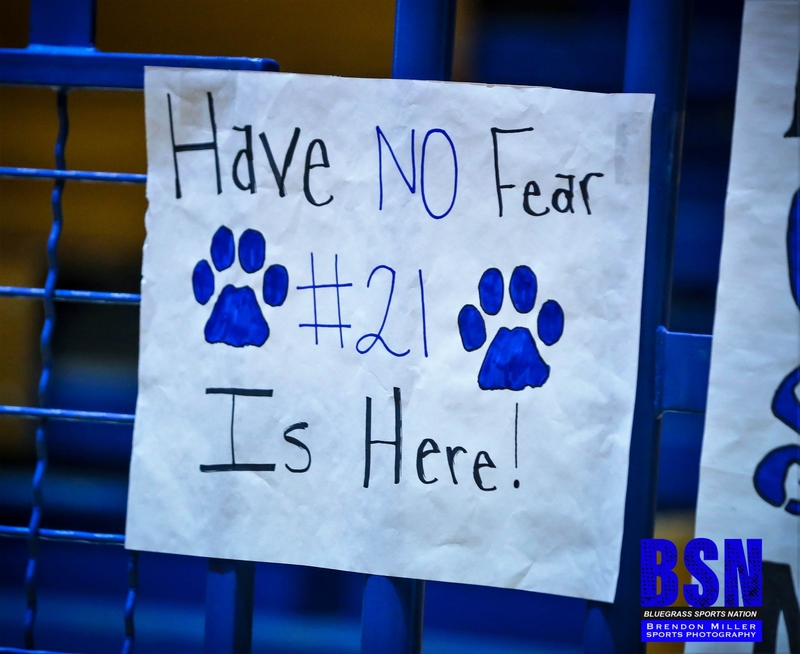 BREATHITT Team: 1st Quarter – 31; 2nd Quarter – 17; 3rd Quarter – 15; 4th Quarter – 7. 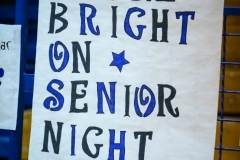 Total – 70. 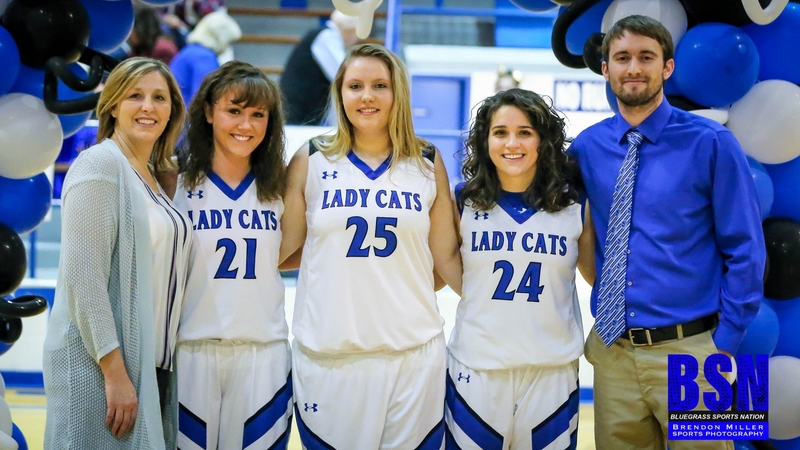 Individual: Amy Brewer – 25; Adreonna Schutz – 14; Hannah Griffith – 13; Riley Bush -12; Kaylea Ritchie – 4; Brianna Henson – 2. 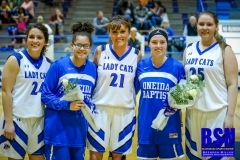 ONEIDA BAPTIST Team: 1st Quarter – 11; 2nd Quarter – 2; 3rd Quarter – 2; 4th Quarter – 7. 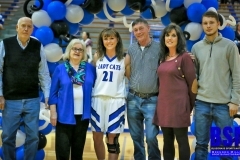 Total – 22. 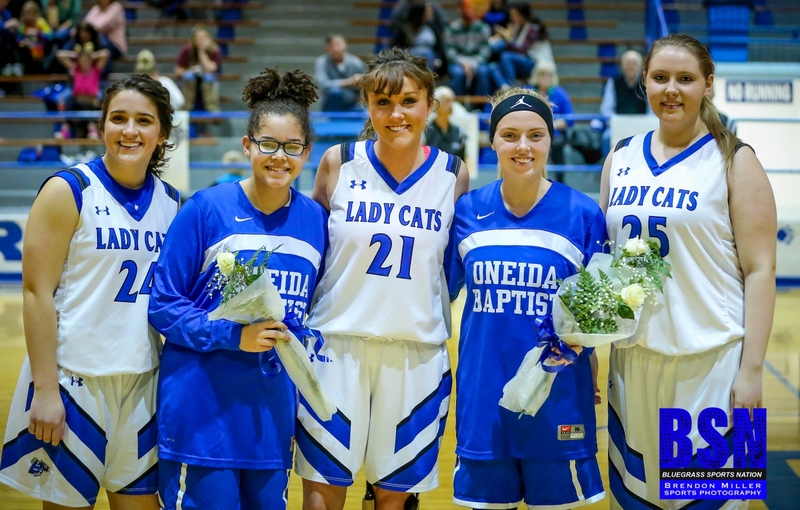 Individual: Katy Schroeder – 11; Kambria Howard – 6; Samira Davis – 3; Makyla Barger – 2. 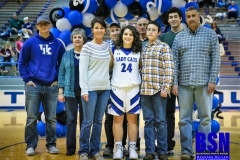 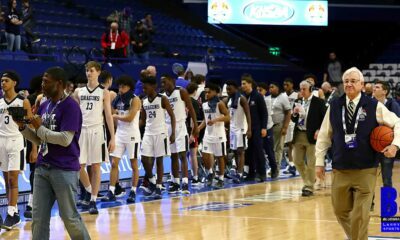 Breathitt improves to 14-10 on the season.